• How to give them "Skin in the Game"
Don’t miss out on this powerful, new, unique training . 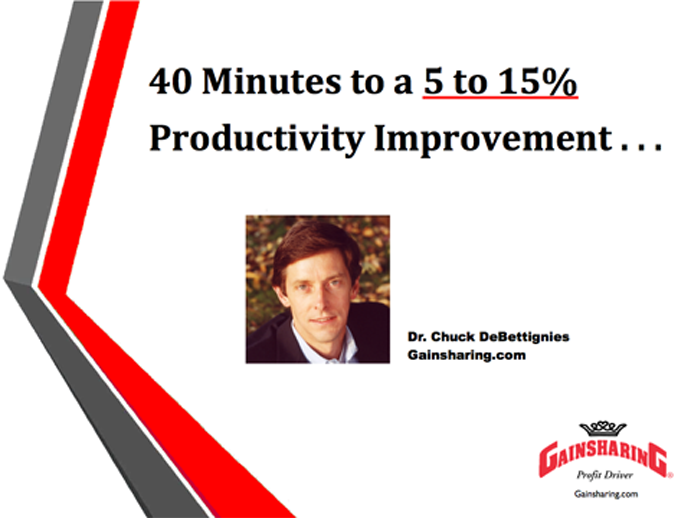 . .
Dr. Chuck DeBettignies is an author, speaker, seminar leader, Gainsharing expert, and founder of Gainsharing Inc.
His company implements Gainsharing systems to motivate employees to pursue great performance with a performance-based pay reward system that leads to an improved bottom-line at the same time.